We take a look at which markets performed the best in 2018 by how much the installed capacity grew over the 12 months. Taking preliminary figures from Windpower Intelligence, Windpower Monthly's research division, we pick out which markets have grown the fastest in 2018. The data is subject to change, as some late-year installations may not be accounted for. But it is indicative of a strong year for the wind-power industry, which is expected to grow by 9-10% in 2018. Argentina was identified by GWEC as a "next big thing" market in its Global Wind Report unveiled in the first half of the year, and 2018 was the first indication that this was an accurate prediction. The addition of 412MW, according to Windpower Intelligence, saw Argentina’s installed base grow by 181% to roughly 640MW in the last 12 months. With the election of Mauricio Macri as president, confidence rocketed, followed by several auction rounds under its Renovar programme and European manufacturers setting up facilities in the country, despite already having sites in neighbouring Brazil. The decision to also allow corporate power purchase agreements will further boost confidence. Argentina is predicted to add 7.9GW over the next decade, according to forecaster FTI Consulting, so the more-than-400MW added last year is just a taste of things to come. Peru remains a relatively small player in South and Central America when compared to its bigger neighbours such as Brazil, Chile, Uruguay and Argentina (see above). But it managed to grow its installed wind capacity by 54% in 2018, adding 132MW and taking its total to about 375MW. This was due to a single project, Enel's 132MW Wayra I project, which came online in June. It is a sizeable project in a small market, showing what can be done there. This should pique the interest of investors and developers. The Windpower Intelligence database suggests a further 1.43GW is in the pipeline, 1.3GW of which could be installed in the next two or three years, suggesting further acceleration of growth given the right conditions. However, given the high use of natural gas and hydro sources, prices remain low, making setting up a wind business difficult. After a few years of political upheaval, Egypt is now back on track to become a driving market in the Middle East and Africa. The addition of 380MW in 2018 saw Egypt grow its installed base by 47%, joining the 1GW club in the process, with 1,190MW now operating. This follows a 2017 when no new capacity was added. A more settled system, with the removal of bottlenecks, could see this market becoming a strategically vital one into the next decade, acting as a gateway to the region. EY boosted Egypt five places in its biannual renewable energy country attractiveness index in October, after the Egyptian ministry of electricity and renewable energy made "strides towards implementing wind energy in a big way, with plans for wind schemes up to 1.8GW and total capacity expected to expand by 3.3GW by 2027". Windpower Intelligence has almost 2GW in the near-term pipeline for Egypt. Much like Peru, Vietnam is a small market, so any change is a big change. But to add 92MW to its 197MW in 2018 could be a sign that the market is taking wind power seriously following the 38MW it added in 2017. Its market therefore grew by 46% in 2018, according to the preliminary figures by Windpower Intelligence. And, again, like Argentina, GWEC named Vietnam as "one to watch", with the trade body expecting the market to "take off" soon, as the government targets 800MW installed by 2020 and 2GW by 2025. Prime minister Nguyen Xuan Phuc raised the feed-in tariffs for onshore wind projects by 9% in September, further boosting its attractiveness to foreign investors. There is a lot of additional interest in Vietnam’s offshore sector, with a growing economy and the related demand growth adding pressure to the country’s coal-dominated energy mix. The country could also benefit from Taiwan’s early-mover status in the sector. According to Windpower Intelligence figures, Norway was the fastest growing European market in 2018. It added 256MW over the last 12 months, expanding by 22% and outpacing the rest of the region, which grew by roughly 6%. The new total was down on the 324MW it added in 2017, however, thereby growing 70% in just two years. The market has benefitted from the rise of corporate power purchase agreements, with internet giants Google and Facebook and major aluminium producers all making big buys. With a likely pipeline of just under 3GW, including Statkraft’s 1GW Fosen Wind site, Norway’s pace of deployment looks set to continue in the short term. Offshore wind is also on the horizon. 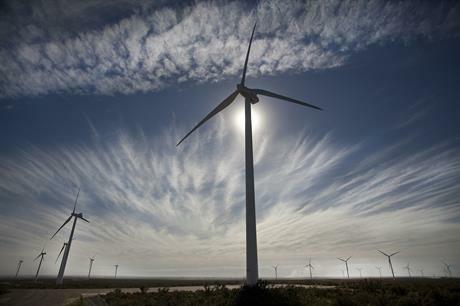 Thailand’s wind market grew 20% in 2018, according to the early Windpower Intelligence figures. It added roughly 130MW to its 648MW at the start of the year, meaning it nears 800MW installed. The south-east Asian market often slips under the radar, given its noisy regional neighbours such as China, Taiwan, and India. But it has many of the western OEMS vying for attention, with Siemens Gamesa, Vestas and GE all supplying turbines, all notable for their hub heights. The market recovered slightly after a slow 2017, when it added just 24MW following a supreme administrative court ruling that agricultural land administered by the Agricultural Land Reform Organisation (ALRO) could not be used for wind farms. ALRO issues were one of the "biggest challenges" in 2017, although "the worst of the storm had passed" by early 2018, according to Akarin Suwannarat, president of the Thai Wind Energy Association. Belgium added about 561MW in 2018, according to Windpower Intelligence’s data, growing by 20% on 2017 and surpassing Ireland as the 11th largest European market. Its 561MW added last year made it the fourth largest market in Europe over the past 12 months. It is the only market in this list to benefit hugely from the offshore sector – Belgium brought the 302MW Rentel site online last year. Offshore wind is expected to continue to boost the market with a further 1GW in the near-term pipeline.